Available from IDEC , LF1A LED strips utilise extra bright multi-chip LEDs that offer the same level of lighting as a 20W fluorescent lamp. These LED strips also consume approximately a third less power than their fluorescent lamp counterpart. The LED strip lighting is supplied in thin housing that is offered in three different sizes. 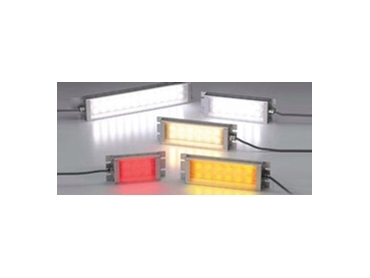 The LED strips’ are also available in four different colours; Warm White, Cool White, Yellow and Red. These LED strips from IDEC are RoHS compliant.